This is a piece that requires no introduction to trumpet players. The famous Canadian Brass quintet arrangement has been played by quintets all over the world for years. 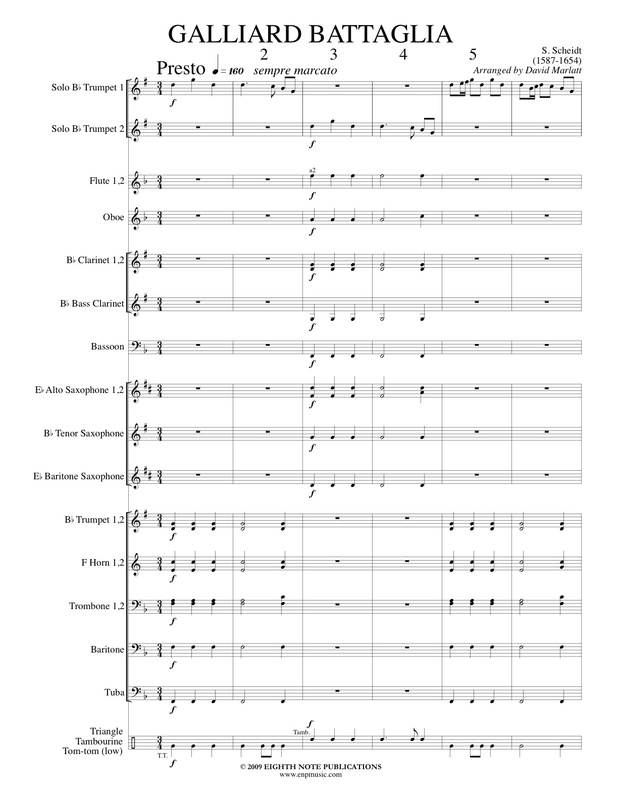 This arrangement, for 2 trumpets and band, makes this famous piece available in a new setting. The flashy scales and the great antiphonal �battle� make this a real audience pleaser.